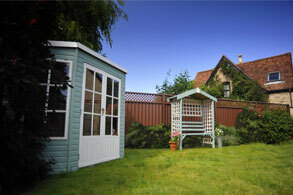 ColourGates can be made to match ColourFence panels or ColourRail and are a stylish security feature for your garden. 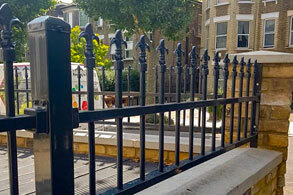 Our gates have a range of options from simple drop bolts to built in key operated deadlocks that operate from both sides of the gate – allowing you to choose the security option that is right for your property. 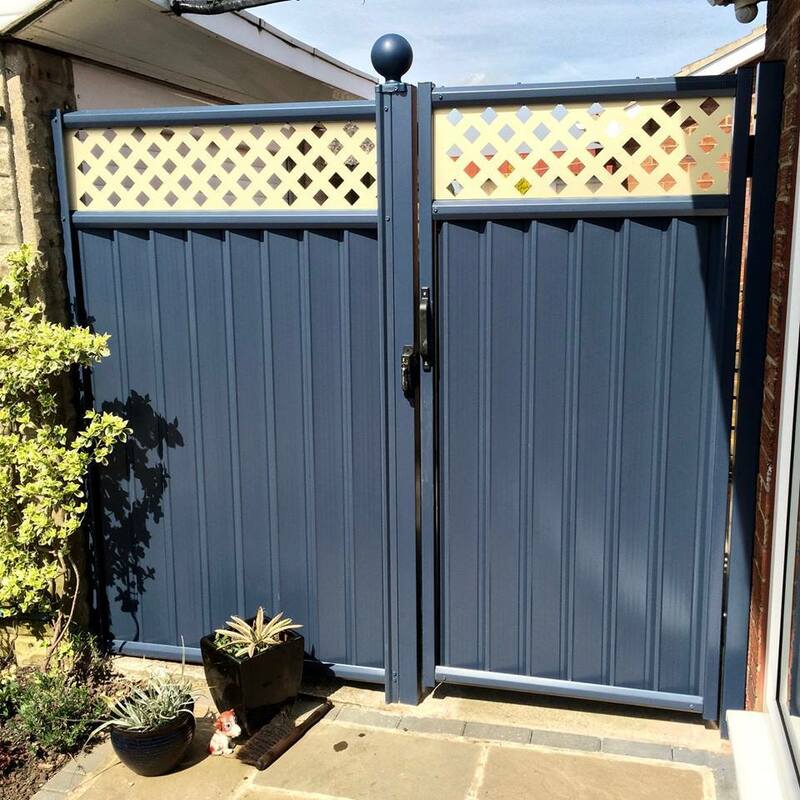 Panel ColourGates are a popular addition as pedestrian side gates into the back garden or as double or single driveway gates where a little more privacy or shielding is required. 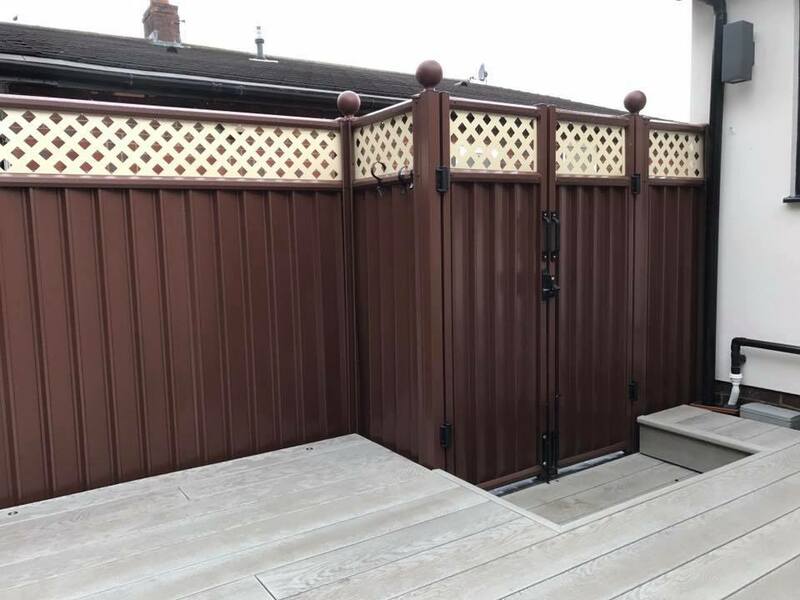 The gates come in the same 4 colours as our ColourFence range and can be constructed to your specification in a single colour or with a combination. 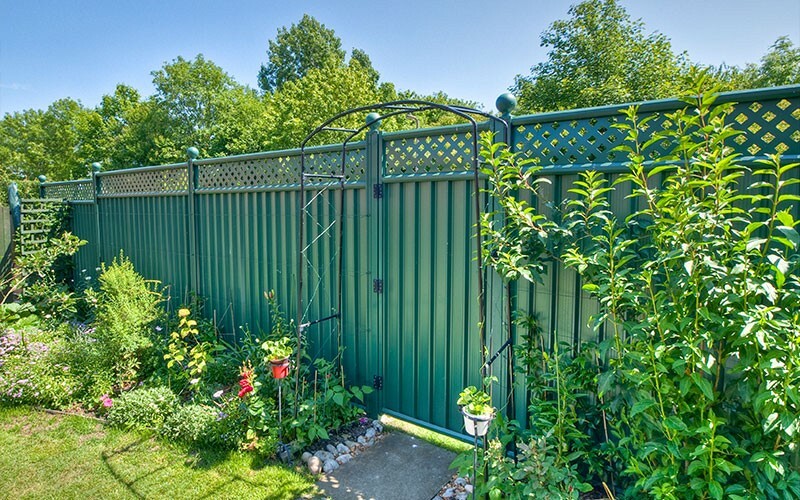 Just like ColourFence, there is the option to include a lattice panel in your gate and the gates come in height up to 2.1m. 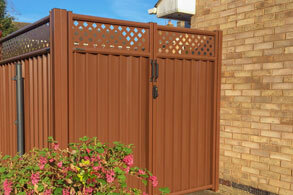 A popular choice for a front gate or driveway gate is our impressive but practical Rail style ColourGate. Add curb appeal to your property with gorgeous driveway gates, topped with our fleur-de-lis spears, loops or a combination. The gloss black finish is a classy addition to the four standard ColourFence colours but if you fancy something a bit more eye-catching like raspberry red, you can upgrade to one of 300 RAL colours for an additional cost. If a Rail or Panel ColourGate sounds like the solution you are looking for, contact us to arrange a free, no obligation site survey and quote. 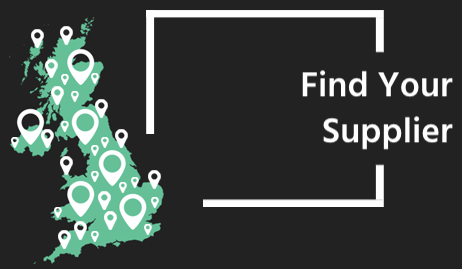 Our fitters will review your requirements, take exact sizes and advise on which posts and fittings are required for your property. If you are looking for a guideline price to slot into a budget for a larger project, take a look at the pricing table below to see how cost effective ColourGate can be. Our Deluxe Gates are all fully welded, solid panel gate. The added strength in the construction makes it perfect for automation, as a sliding gate, for wider driveways or combined with our heavy-duty deadbolt lock where higher security is desired. Some customers upgrade from a standard gate simply because they prefer the squarer look of the deluxe gates. The gates are custom built so are fully constructed when they arrive on site making them quick to fit, with minimal disruption to your property or the surrounding area. 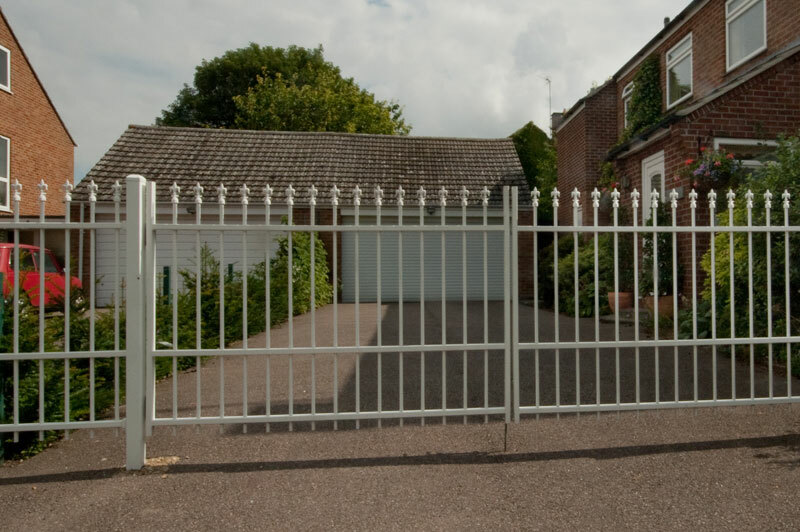 For added convenience you could consider automating your gates, both sliding and swinging gates can be automated provided that it can be connected safely to an isolatable power supply. Automated ColourGate was an innovation born out of the idea that the convenience of automation should not be reserved only for fancy county pads and millionaire mansions. Our affordable solution means you can upgrade to automation and say goodbye to having to jump out of the car in the rain to open and close the gate, juggle heavy shopping bags whilst trying to open the gate or lie in bed at night listening to the gate banging in the wind and battling with the thought of going outside to put it back on the latch. The automated option also adds a level of security as the intercom system lets you see or hear who is attempting to gain access to your property before you open the door. All our automated gate engineers are Gatesafe accredited which means that they have undertaken nationally verified and independently delivered training to understand how to engineer automated gate solutions with the highest level of safety. Pair this with our 5-year guarantee and you can be assured that you are buying a quality, luxury product at an affordable price. Ready to be the envy of your neighbours? Call and book your free survey and quote now.